42 All-Time Classics, as I shall refer to it hereafter, is, as the name suggests, a compilation of games. 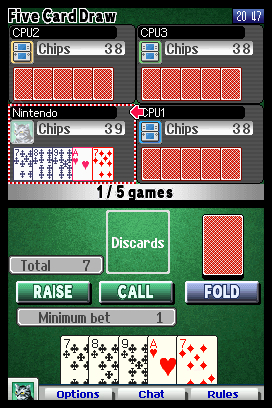 Specifically, it’s a compilation of board, card and parlour games that can be enjoyed either as a solo player or against friends; sadly, the online multiplayer is long dead due to the closure of Nintendo’s Wi-Fi Connection service, but it can still be enjoyed through local ad hoc wireless play — you only need one cartridge, in fact, thanks to the DS’ “Download Play” function that could share game content with nearby systems. The games are split into five categories: card games, which encompass a wide variety of games for two or more players that use standard playing cards; board games, which include a selection of classic tabletop and pen-and-paper games; variety games, which is the “stuff that doesn’t fit anywhere else” category (although I’d argue Dominoes is probably a better fit for the “board games” grouping); three single player games including traditional Klondike solitaire, Mahjong solitaire and sliding-block Klotski puzzles, here known simply as Escape; and finally action games, which include versions of darts, bowling and billiards as well as Balance, a physics-based game in which you stack blocks on a seesaw, and Takeover, a variant on shove ha’penny where you attempt to knock your pieces onto squares on the board to “capture” them for points while knocking your opponents away strategically. There’s a good selection of games here, ranging from simple to understand “pick up and play” affairs to more complicated, strategic challenges that demand practice and a thorough understanding of the rules. 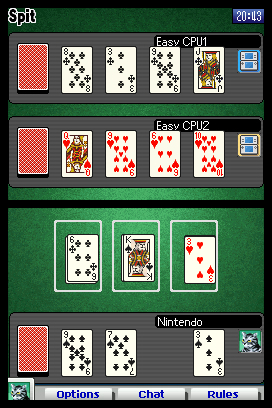 Both the board and card games are stratified by rules complexity, so it’s easy to see at a glance how much work you’re going to have to put in if you’re less familiar with the game in question — do note, however, that many of the simpler card games in particular are heavily luck- and reactions-based, so don’t expect an easy ride just because the rules aren’t complicated! Most of the games can be played in single-player “Free Play” mode or multiplayer from the outset, but others have to be unlocked by playing through the surprisingly substantial single-player offering. This has two main components besides the freeform, customisable Free Play mode: Stamp mode and Mission mode. In Stamp mode, you work your way through a linear series of levels, each of which sees you competing in one of the games on offer. To progress to the next stage and game, you need to earn three stamps: you can do this immediately by winning the game, though coming in second or worse will always award you at least one stamp depending on the game and the number of participants, sometimes two if you don’t come dead last. In other words, you’ll never be completely stuck; you’ll have to play a game you have trouble with three times at most before you can just skip past it. 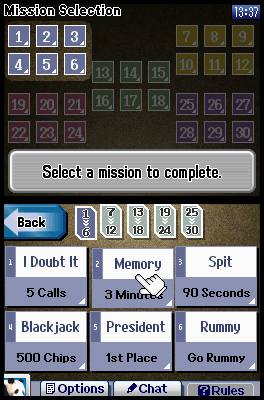 In Mission mode, meanwhile, you’re presented with 30 different challenges in which you must not only win the game in question, you must also complete a particular task. Some of these are relatively straightforward — such as winning a game of Memory within a particular time limit — while others, like the one which demands you win a game of I Doubt It with five successful calls of “Cheater!” before your victory, require a bit of strategy and lateral thinking. There are no easy ways out here; you have to complete the mission to get credit for it, and your reward is a new player icon that you can use for your profile in multiplayer. 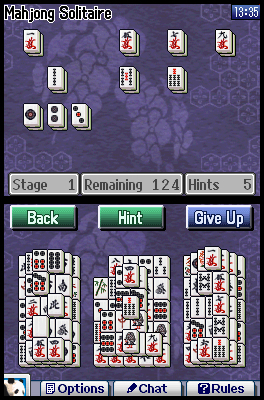 Stamp mode is a great way to get to know all the games, since it is structured in such a way that it starts you off with simple or primarily luck-based games and gradually increases in complexity before finally letting you loose on stiff challenges such as shogi, chess and Field Tactics (Stratego under a non-copyright infringing name). 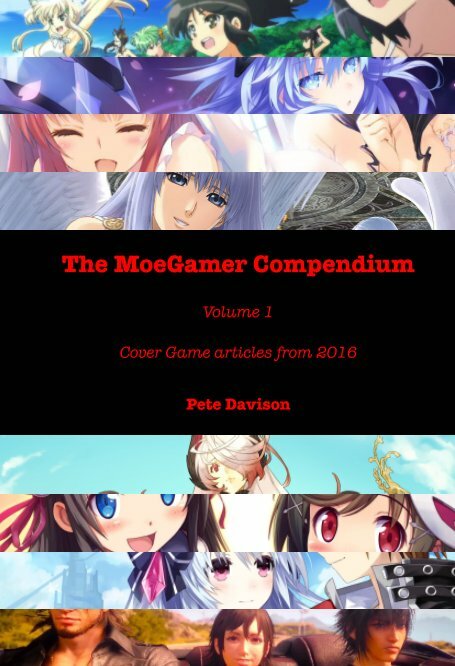 Each game features a comprehensive rules guide that explains how to play, helpful strategies and even possible variants that you can experiment with in Free Play or multiplayer. It’s a really great way to learn and practice a wide variety of popular games that you might not have had the opportunity (or equipment) to try before — or simply to hone your skills before tackling a live opponent! Mission mode can be a little frustrating in some instances, particularly in the situations where you feel you’re somewhat at the mercy of the gods of luck rather than your own skill. Still, it can be interesting to try the games under very specific conditions to see if you can still win — or if that spectacular victory you racked up was really just a fluke! The presentation of 42 All-Time Classics is wonderful, and this is, I think, one of the main reasons it’s had such enduring appeal and popularity among the DS’ library. 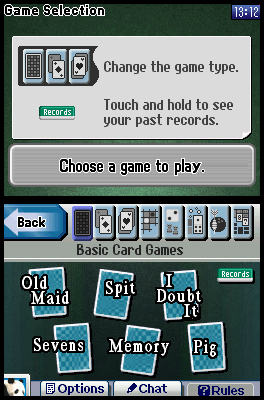 Good use is made of the DS’ two screens for each game — the larger board games spread the board across the whole visible area, for example, while simpler games make use of the top screen as a score and general information display while the main action unfolds on the touchscreen. Cards and pieces are animated and slide around with a pleasing sense of tactility thanks to good, effective use of simple sound effects, and each game is complemented by excellent lounge jazz-style music that becomes more dramatic and energetic as a game draws towards its conclusion. There’s also a “pop” soundtrack available, but you’ll need to clear Mission mode to unlock it. Good luck with that. In multiplayer, 42 All-Time Classics shines, as you might expect, offering support for up to eight local players and, as previously noted, the ability to wirelessly beam game data to friends who don’t have a copy of the cartridge themselves. (They still need a DS or 3DS, obviously.) Gameplay is smooth and straightforward, and the Download Play version isn’t gimped in any way — it just has to “load” as the host system transmits the data for each game. During multiplayer, a Pictochat-style communication system allows you to hurl electronic abuse and/or clumsily-drawn pictures of knobs at one another simply by drawing on the touchscreen. This may seem largely pointless given that you’ll have to be in the same room as your opponents to play local multiplayer, but if you’re as childish as I am, you’ll get plenty of entertainment from this feature, and using it as a method of distracting your opponent while they’re considering their next move very much appears to be the system working as intended. Pro-strats right here. All in all, 42 All-Time Classics proved to be a wonderfully compelling surprise when I first picked it up back in the day, and it’s a cartridge that still regularly finds its way into my DS nearly fifteen years after its original release. Thanks Raistlin! 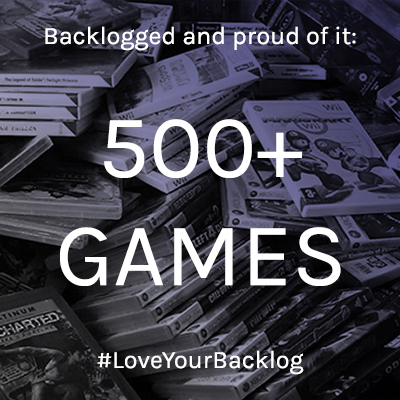 🙂 And it’s good to know that the love for this game is universal and eternal! Back when I used to regularly get the train to and from London I would play this religiously. There was something strangely compelling about something so simple. It’s the perfect train game. You don’t need to concentrate too hard on it, you just play. 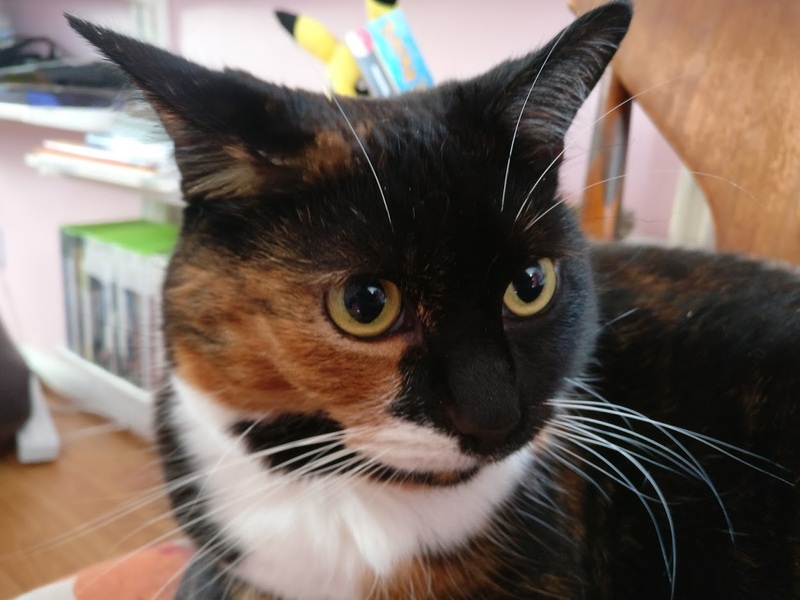 And there are so many different types of game on offer you can take on something that really fits your mood! This is a great cart to have in your pocket for quiet times when you don’t want anything too complicated. I believe they also chopped it up into downloadable bits and sell it on the DSiWare/3DS eShop now, too, so if you can’t find a cartridge (unlikely, it’s pretty common!) you can get digital versions to pick and choose your favourite games. It’s called “A Little Bit Of… All-Time Classics” in Europe and “Clubhouse Games Express” in North America. Oh, what an excellent choice. See, the love for this humble little cartridge is universal!